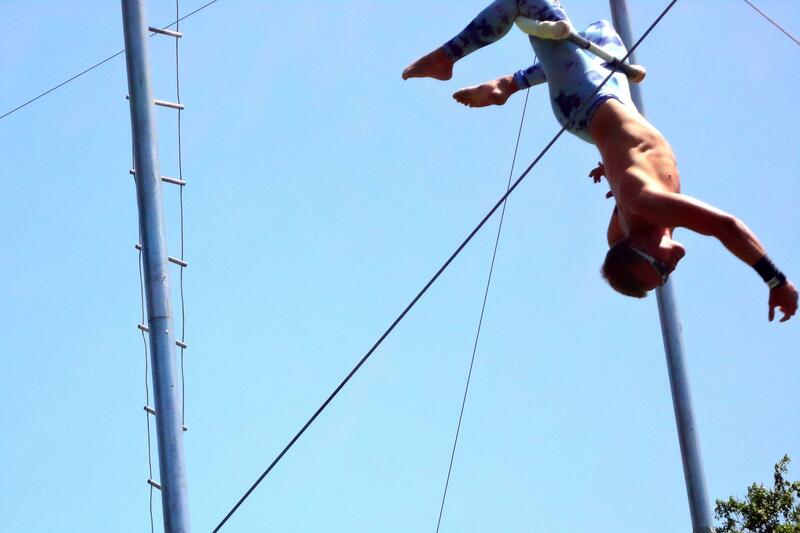 Our friend Carl S wrote to us to let us know about his circus adventures. Check out this incredible photo of him in action! This is me, catching for the Cincinnati Circus. I'm not sure where I'm from, exactly, since I've been in Florida, Ohio, and Montana over the last year and I'm heading to New Mexico tomorrow. Up to you, I guess! I'll probably get a few more pairs in two or three months here..